Starting Up with Design Thinking: The Story of LinkedIn’s Pulse | This is Design Thinking! We met Akshay Kothari, one of the two co-founders of Pulse, a business reader app that was famously displayed by Steve Jobs at the Apple Worldwide Developers Conference in 2010 and was later acquired by LinkedIn for 90 Million Dollars. 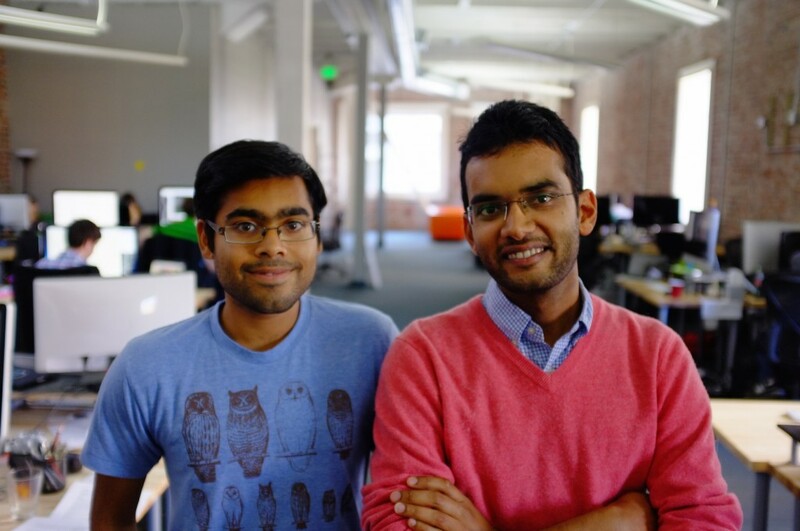 Akshay and his business partner Ankit Gupta started developing Pulse in 2010 when they were still students at Stanford. “Ankit and I decided to build something at the end of our studies that would allow us to establish a startup rather than being compelled to take a corporate job. Launchpad, the Stanford design course, was actually designed in the sense that participants would need to launch an actual product ‘into the wild’ in order to pass. 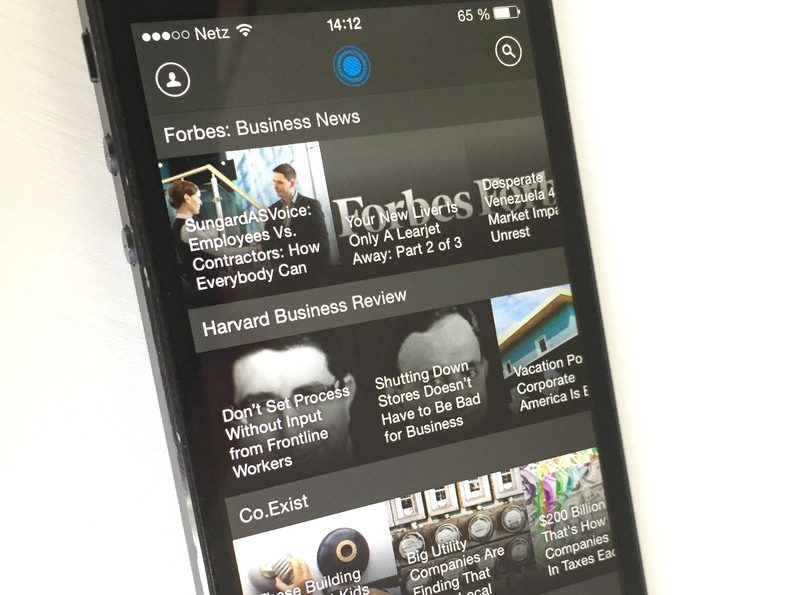 “The decision to focus on a mobile news app in 2010 came from the observation that news had not really undergone much innovation up to that time. News did not adapt to mobile. Because the solutions of all the mobile publishers were so slow, the news was really hard to follow. It was almost painful for us and for our peers to read news on mobile phones . We sensed there was something there, for us. We started observing people reading news in cafés in Palo Alto. We basically stayed all day in a café for user tests. And yes, we were also designing for ourselves. That’s how we started. We then realized that other users felt the same way. They were also dissatisfied with how news was read on mobile phones at that time. The team discovered the power of prototyping during their iteration cycles. These prototypes changed significantly over time as the idea became more concrete. “During class, while we were in the café everyday, we did not show our mockup prototypes right away. We first talked with random visitors about their needs and how they were reading news these days. We kept asking questions. People often say what they want. But what they actually need is something different. If we had kept doing what they asked us to do, we would have become another Google reader. Instead, we first observed our test participants as they read news on their iPads. This was a good starting point. Afterwards we would show them paper prototypes. The idea was to show multiple prototypes at the same time. People would always have a preference for one or the other prototype. People definitely gravitated more toward visual news during our test sessions. We also tried a lot of visualizations as well as different sizes and different ways to display sources. The one that is in the app right now is something we stumbled upon during our tests. Because we wanted to test interactions and flows, at some point during our testing phase we switched from paper to keynote prototypes. Keynote helps to communicate details better than paper. We got more and more in-depth feedback. A lot of small details became important, for example the aspect of manipulation. A test subject decides that she wants to follow New York Times news and she then immediately sees visuals of NY Times news appear. This impressed our testers. The resolution of our prototypes increases over time as part of the process. 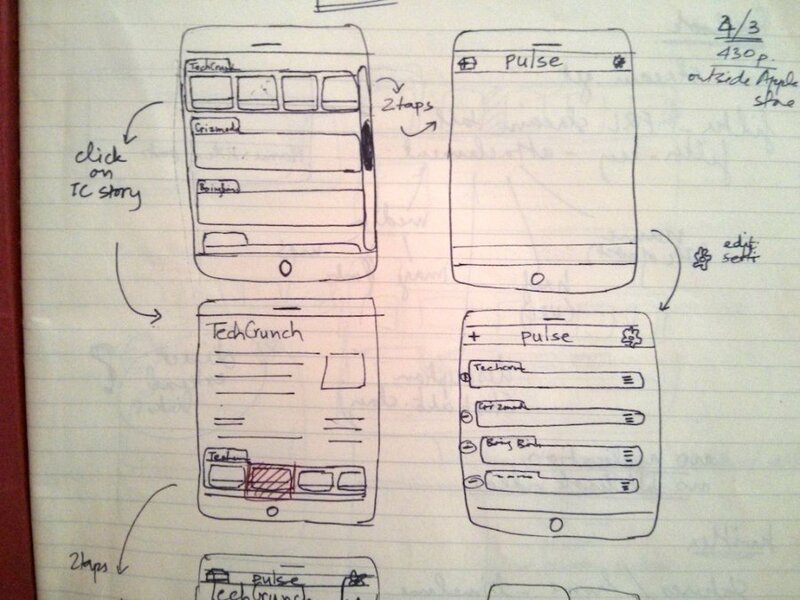 Paper helped us to quickly test our main ideas; then keynote was the next level, and then coding was the next level. With a functional prototype at hand, another seemingly minor aspect became important. By playing around with the prototype, people asked whether there was an offline mode. This was something we hadn’t thought of before. We asked them: ‘Why do you need an offline mode when you have 3G?’ And it turned out that a lot of people read news in trains or in buses with bad connections. Thus we realized that an offline mode is actually pretty important for Pulse in the future. 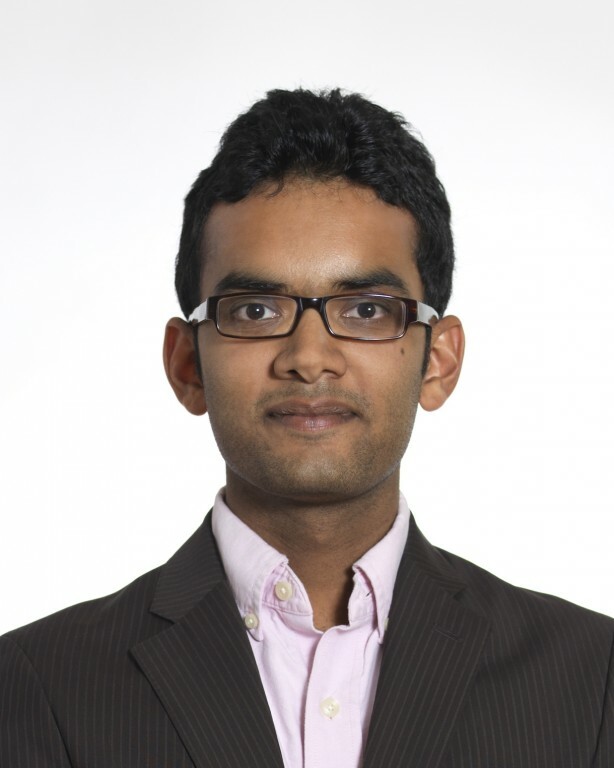 The Interviewers: Akshay Kothari was interviewed on March 9th, 2015 by Holger Rhinow, Jan Schmiedgen, and Andrea Scheer	. Akshay Kothari is a Stanford Graduate and one of the co-founders of LinkedIn Pulse, a news app that was acquired by LinkedIn. For more information visit Pulse.me or follow Akshay on Twitter.